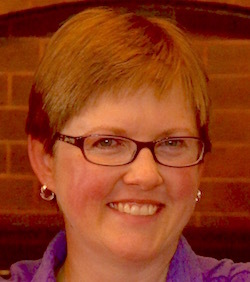 Rebecca Schlatter Liberty has served as lead pastor of Redeemer Lutheran Church (ELCA) in Bangor, Maine, since early 2014. Previously she served Lutheran congregations in Hong Kong, northern California, and Nevada. Following her experience as Campus Minister of Vocation Discernment at Santa Clara University, she published a book on discerning vocation with young adults, The Treasure Hunt of Your Life: Seeking Your Calling, Encountering God, Finding Yourself (Redwood Visions Press, 2009). Her own treasure hunt has brought her to Maine, where she lives with her husband, son, and daughter. Connect with Rebecca on Facebook. Rebecca Schlatter Liberty (February 2017, Heart of Ministry | February 2019). Posted in From Our Archives. Rebecca Schlatter Liberty (April 2016). Posted in 21stCenturyMinistry. Rebecca Schlatter Liberty (April 2015). Posted in Bearings Review 2015, ChurchChange. Rebecca Schlatter Liberty (October 2014). Posted in ChurchChange.